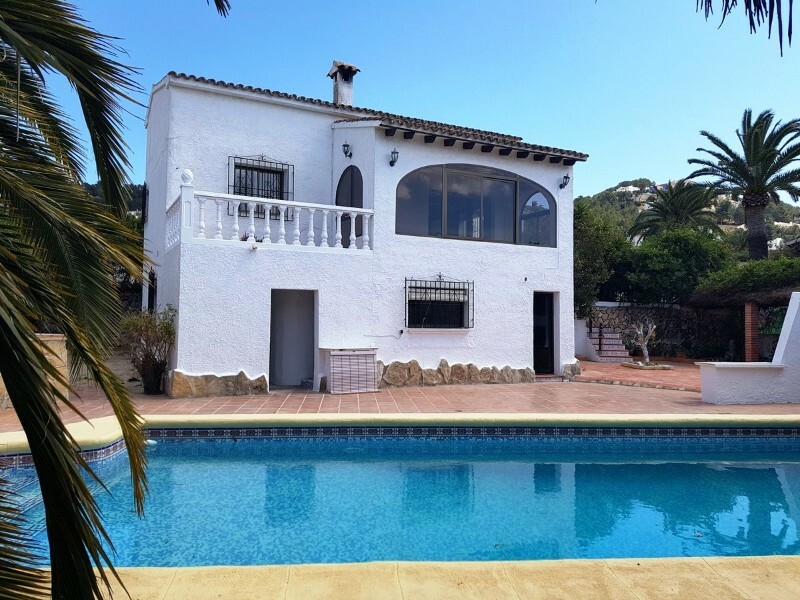 Cosy villa with pool for sale in Moraira. The highlights of this property are its location and the lovely garden! You will fall in love with it. The house sits on a flat southwest facing plot, in a very quiet residential area. 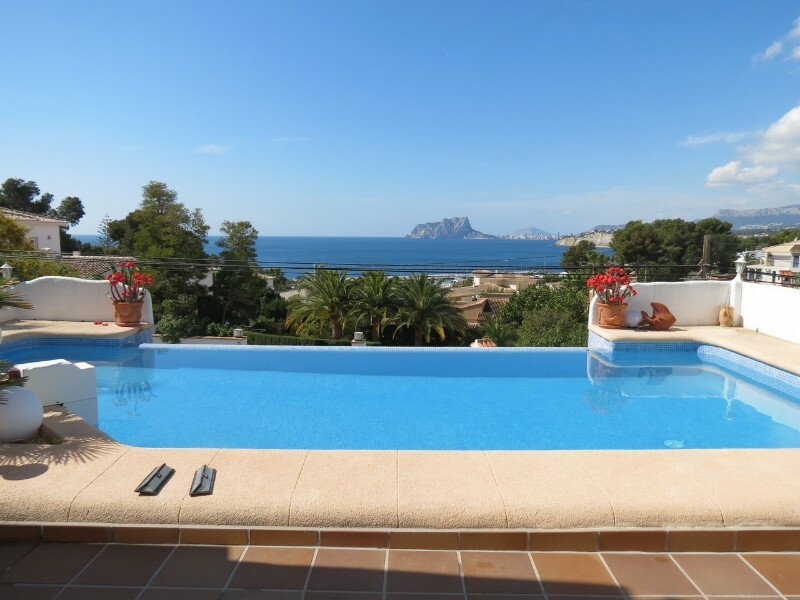 Only a short drive away from Moraira. Entering through the gate you arrive to a big carport with parking for several cars. From there a short walk leads you to the house, where you find a lovely covered sitting area. Behind this is the pool with another sitting area, sourrounded by the garden. You can enter the house from the sitting area via a ramp or from the other side via a small stair. The house has on this side nice covered terrace with open views, then you enter the house through a small enclosed sitting area, followed by the dining area, from which you can enter the kitchen or the bright lounge to the other side. Through the lounge with fire place you get to the 2 bedrooms and bathroom. The villa benefits from double glazed windows with blinds and mosquito nets and gas central heating. Underneath the house is a big cellar/store room where also the washing machine is installed. A coys little villa, ideal for a couple who loves a nice garden with quiet and piece. Do not wait any longer and call us for a viewing! Reduced from 265.000€.